Why is it always a lone* gunman? In Arizona, Jared Loughner acted alone. So says the press. Lincoln was shot by John Wilkes Booth. Who acted alone. Lee Harvey Oswald also allegedly acted alone. When Sirhan Sirhan assassinated Robert Kennedy, guess what, he acted alone. As did Jack Ruby, James Earl Ray and Mehmet Ali Agca, Timothy McVeigh and John Hinckley. They all developed, designed, paid for and implemented the act alone. Maybe these lone gunslingers tried to get help from others but no one would follow along. As a former organizer I know how much work it takes just to get people motivated to attend a rally, make a phone call, write a letter or send e-mail. Maybe they made a few calls but everyone they knew was too busy or too smart to get involved in such a high stakes game of murder. Or maybe the lone gunman theory fits our American persona too well? Is it because Americans like to believe that anyone can accomplish anything on their own with no help from anyone else? By pulling ourselves up by our bootstraps and making it? Against all odds. The Rocky theory. 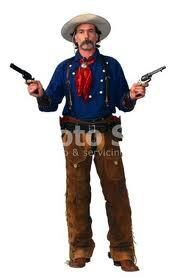 Or are these killers living up to the High Noon apogee where the sheriff goes mano a mano with the outlaw? The Rambo theory? The every John Wayne movie theory? Or do we quickly say that, “he acted alone.” Because that let’s the rest of us off the hook? Because it makes the killer appear to be crazy, off their meds, operating with once screw loose. Is it really true or does it just make us feel better? Maybe there would be more killings but the would be perpetrator did tell someone else what they planned on doing. And I’d like to think that the someone else in the world stopped them. * Theories abound on whether these assassins and would be ones really did act alone.